The freezing air follows 2 feet of snow that fell in parts of New York. Brutally cold temperatures and whipping winds swept through the eastern U.S. Monday. Temperatures Monday morning were 30 to 40 degrees colder than just a day earlier in some areas. In Philadelphia, it was 48 degrees on Sunday morning and a biting 12 degrees on Monday. Parts of the Northeast could see wind gusts up to 50 mph and wind chills are expected to remain dangerously cold all day. 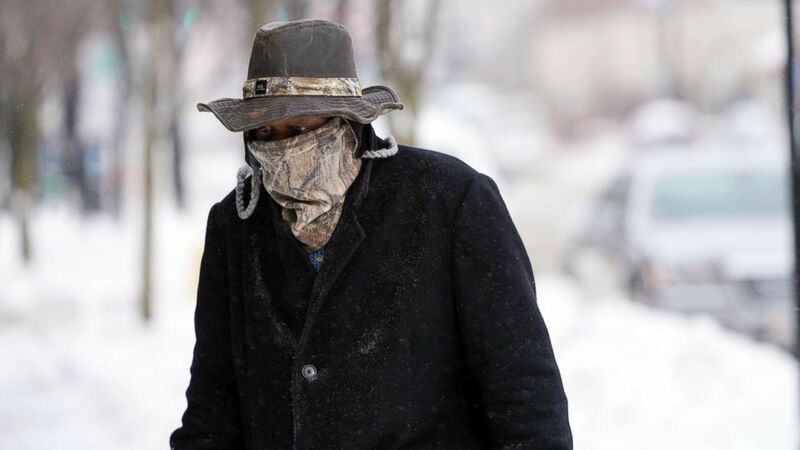 (Ben Garver/The Berkshire Eagle via AP) Marvin Hooks wears a face mask to protect him from the cold as he walks on North Street in Pittsfield, Mass., Jan. 21, 2019. Bitter cold and gusty winds swept across the eastern U.S. Monday with falling temperatures replacing the weekend's falling snow. 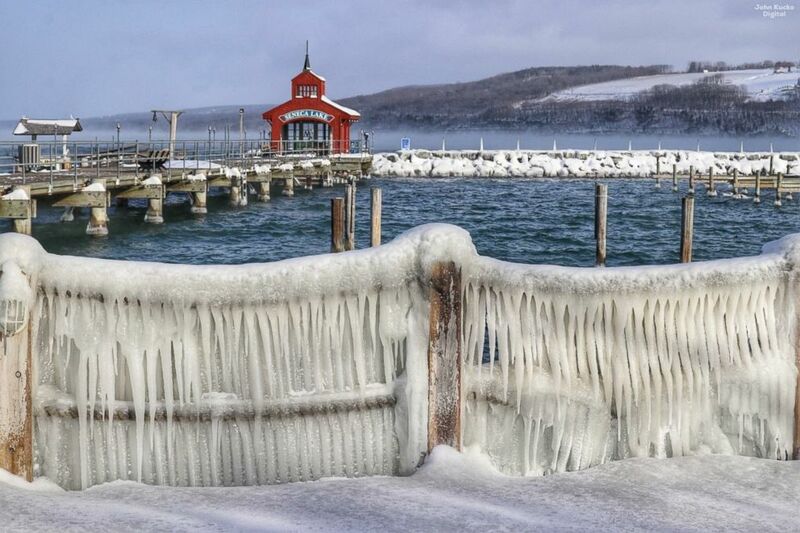 (John Kucko Digital) Icy piers at Finger Lakes, N.Y., Jan. 21, 2019. The frigid temperatures will be sticking around for Tuesday morning. 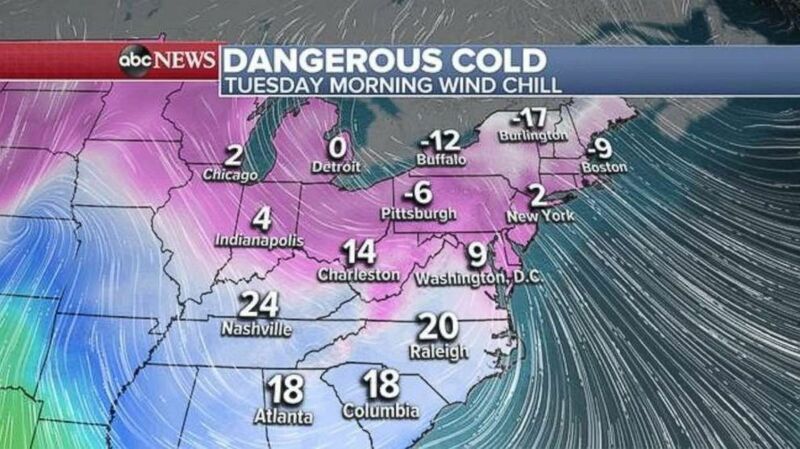 Wind chills are forecast to be below zero across New England and in the single digits and teens in the South. 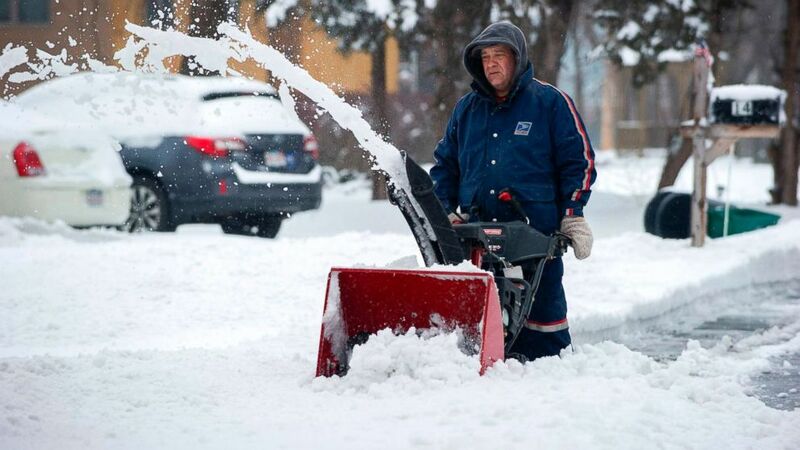 (Joseph Prezioso/AFP/Getty Images) A man in a US Postal Uniform uses a snow blower to clear a street during Winter Storm Harper in Saugus, Mass., Jan. 20, 2019. 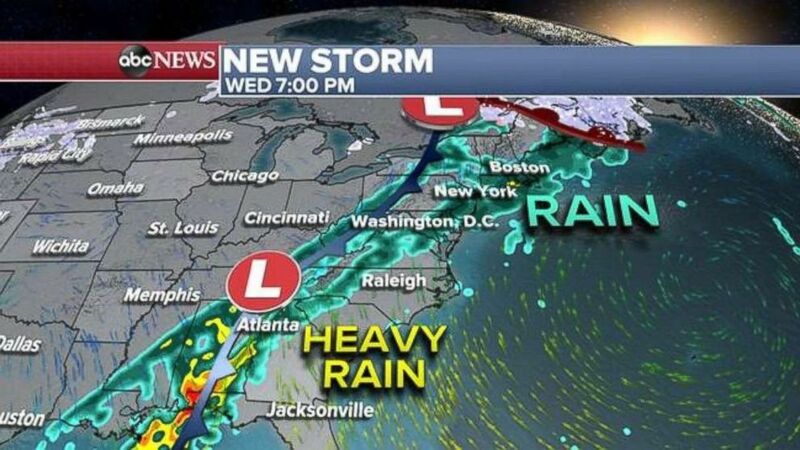 The East Coast will experience milder temperatures on Wednesday ahead of another storm later in the week. 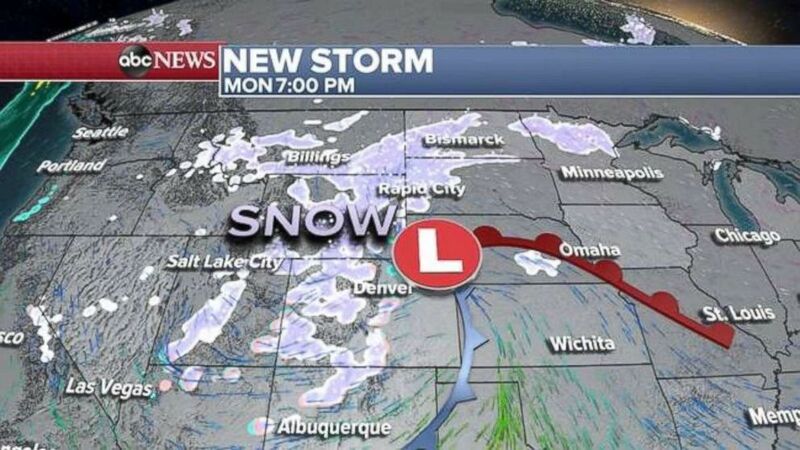 This new storm was in the Rockies Monday, bringing snow and wind from Salt Lake City to Denver and Montana. 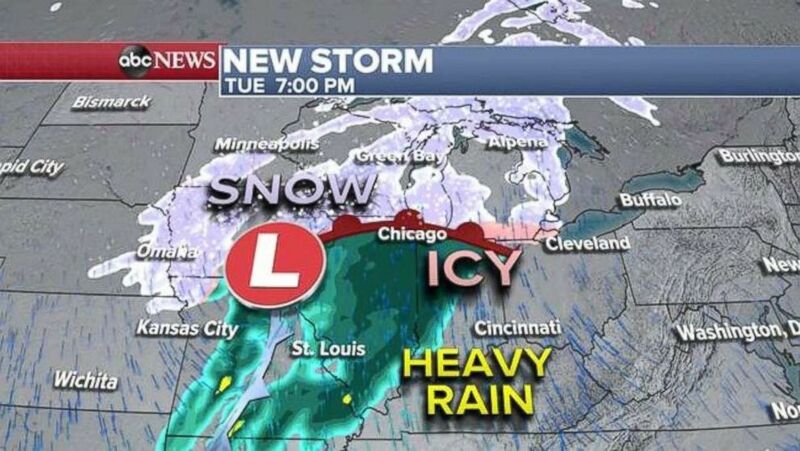 The storm will move into the Central Plains and Midwest on Tuesday with snow from Omaha to Minneapolis and Green Bay. Late Tuesday into Wednesday the snow will head across the Great Lakes from Michigan to western New York. Some icy conditions are possible in the interior Northeast Wednesday, before temperatures warm up and the weather turns into rain from Florida to Maine. Behind that storm, another shot of arctic air will move in, with dangerous cold expected for the Midwest Thursday night into Friday.